In the 50s, a young man from Asturias, Patricio, arrives at the docks of Havana with nothing but the shirt on his back and the determination to get on in life and leave a small village trapped in the dark post-war period behind forever. He discovers a bright, welcoming city where he is soon able to make friends and find work at El Encanto, the large department store that is the iconic pride of the city. Patricio starts to rise up the ranks, opening up a world of new opportunities but attracting a lot of envy in the process. El Encanto will also be where he meets Gloria, one of the most beautiful, and forbidden, women on the whole island, whose husband is the most dangerous gangster in the Havana underworld. 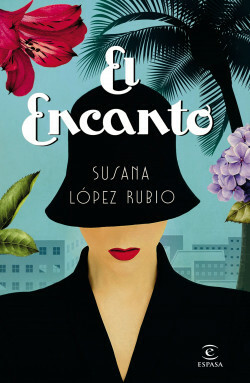 In her first novel, Susana López Rubio recreates the glamour and splendour of a veritable tropical Women’s Paradise, featuring a set of unforgettable characters beholden to their passion but cowed by their obligations in an epic story of forbidden love and personal resilience that will see them pass dramatically from ecstatic joy to guilty remorse against the background of the coming revolution. The precursors to other luxury department stores like Saks 5th Avenue, El Encanto stores were for years exclusive vendors of Dior and set the standard for luxury across the continent. In Cuba, time has passed more slowly and one can still sense what it must once have been: a place of luxury and glamour, the playground of famous actors and musicians, a rich society of contrasts, flavours and colours. Meulenhoff (The Netherlands), Presses de la Cité (France), DeA Planeta Libri (Italy), Thiele Verlag (Germany), Sonia Draga (Poland), Hermes (Bulgaria), Vulkan (Serbia), Amazon (USA), RAO (Romania).